As the world's most innovative companies take note of the strategic advantage brought by industrial designers to business, the Industrial Designers Society of America (IDSA) is declaring Design IS Business at its International Design Conference 2017 (#IDSA17Atlanta). Register now for the premier networking event—which is set for Aug. 16–19 at the Atlanta Marriott Marquis (book the discounted hotel rate by Aug. 7.) 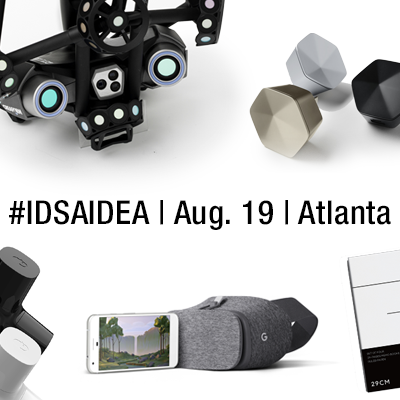 The conference culminates with the IDSA International Design Excellence Awards (IDEA)® The IDEA ceremony is open to the pubic and free to attend, and the Gala is ticketed at the Woodruff Arts Center on Aug. 19. There's no better way to learn about the impact of design on business than from one of the most renowned brands and corporations in the world—Disney. 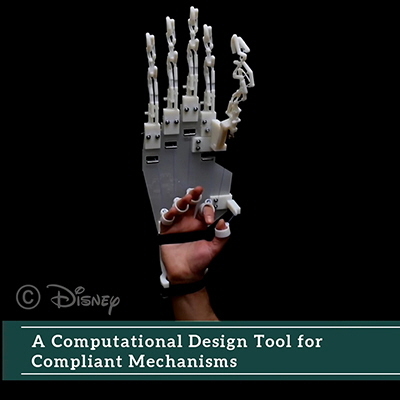 The keynote presentation will be delivered on Aug. 16 by Walt Disney Imagineering President Bob Weis and Shanghai Disney Resort Vice President of Operations Andrew Bolstein. In "Making the Impossible, Possible"—they'll share how highly skilled teams, representing dozens of disciplines, come together to create immersive experiences that inspire emotional connections with guests around the globe. 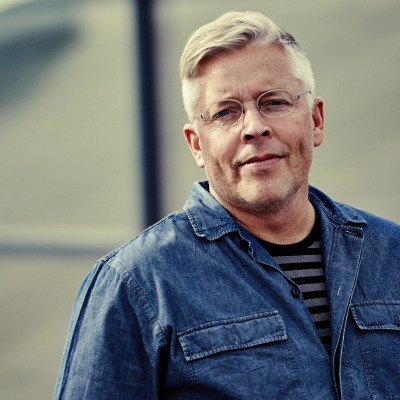 "Businesses are reserving a seat on the board for a chief design officer, assimilating design strategy or making room for design to influence their direction significantly," explains Conference Chair Jeevak Badve, IDSA, VP of Sundberg-Ferar. More speakers at the intersection of design and business come from Coca-Cola, Whirlpool, Philips, Etsy, Fifth Third Bank, Dolby, Airstream and Newell Brands. Other speakers, delivering in a rapid-fire format, come from MATTER, CRAVE, Bresslergroup, Studio One Eleven, US Endoscopy, Design Concepts, North Carolina State University (NCSU), Freefly Systems, Berea College, Huge, Eastman Chemical Company, IN2 Innovation, InReality, Design Science and more. Three interactive panels will take attendees on different journeys: Business of Corporate Design Studios featuring Pfizer, Honeywell and Hyundai Ventures; Business of Design Consultancy Studios with RKS Design, fuseproject, Designworks, a BMW Group Company; Sundberg-Ferar and frog design; and Future of ID and Education with SHiFT and Aether Global Learning, Savannah College of Art and Design, Harvard Business School, Hunan University and LiquidHub. On Aug. 16, the IDSA/Eastman Education Lab Symposium 2017: Emergent Pedagogy in Design, will be chaired by Scott Shim, IDSA, of the University of Notre Dame. Speakers are set from Arizona State University, Brigham Young University, Illinois Institute of Technology, Iowa State University, NCSU, International Housewares Association, The Ohio State University, Parsons School of Design, Rochester Institute of Technology, University of Houston, Virginia Tech, Doblin/Deloitte and DesignIntelligence. On Aug. 17, the IDSA Career Center 2017 kicks off with a networking lunch, followed by Sketch Aerobics™ and Simulation in CAD for Designers, hands-on workshops. Then, join the ever popular portfolio review, as professionals take a closer look and offer advice on putting best work forward. On Aug. 18, several IDSA Awards winners and inductees into IDSA's Academy of Fellows will be announced and the five IDSA Student Merit Award 2017 winners will be recognized. That evening, visit some of the hottest design studios in Atlanta, as they open their doors to conference attendees. For the first time, Super Saturday Morning sessions on Aug. 19 are designed to thrill the youngest generation. Conference-goers and their children—as young as age five—will be amazed by magician and innovation consultant Michael Mode of Big Lightbulb, Inc.; bird expert Francie Krawcke and her feathered friends; Mark Zeller of Fisher-Price; Ryan Ringholz of PLAE children's shoe company; Michael Laris, IDSA, of PlayPower playground maker; and Steve Burris of KIDS II. Sponsors are Samsung, Autodesk, Benajmin Moore, Eastman Innovation Lab, General Electric, Prototype Solutions Group, Savannah College of Art and Design, Sundberg-Ferar, Dassault Systèmes SolidWorks, GE Healthcare, Model Solution, Carnegie Mellon University, LiquidHub, KeyShot, Nexo Solution, Tactile, Top Level Design, Valspar, Appliance Design, Covestro and Philips. Partners are Arcade, Azure, Core77, Gray, Plastics Industry Association, RGD, Society of Plastics Engineers, Wanted Design and Cooper Hewitt, Smithsonian Design Museum. See the sizzle of past IDSA conferences and register now for #IDSA17Atlanta!